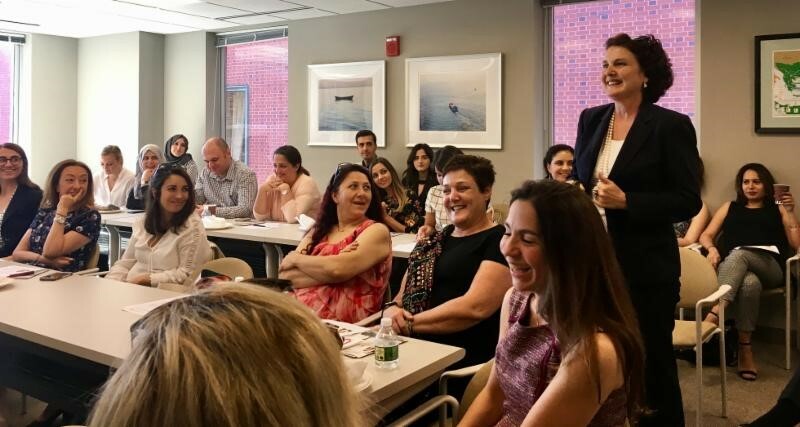 On September 29, TCA hosted a panel discussion on the ‘Success Stories of Turkish American Women in Washington’ in collaboration with Turkish Women’s International Network’s (TurkishWIN) DC chapter at TCA headquarters. The speakers included Ceyla Pazarbasioglu, Senior Director of Finance and Markets Global Practice at the World Bank Group; Gonul Tol, Director of the Middle East Institute’s Center for Turkish Studies; and Merve Hande Akmehmet, Managing Partner of Sandalyeci and President of the Hologram Network. The moderator for the event was Sebnem Kalemli-Ozcan, the Neil Moskowitz Endowed Professor of Economics at the University of Maryland, College Park.